Cashew cheeze | Fork off, heart disease! Probably one of the hardest things to relinquish when you embark on a vegan diet, apart from bacon, is cheese. For me, this wasn´t so difficult, as I developed an intolerance to dairy products. That said, I did enjoy my fair bit of fine cheeses before I made the link between my chronic cough and dairy. Plus cheese has buckets of saturated fat and cholesterol, which is not good for my hubby´s ticker, so he doesn´t mind ditching it either. 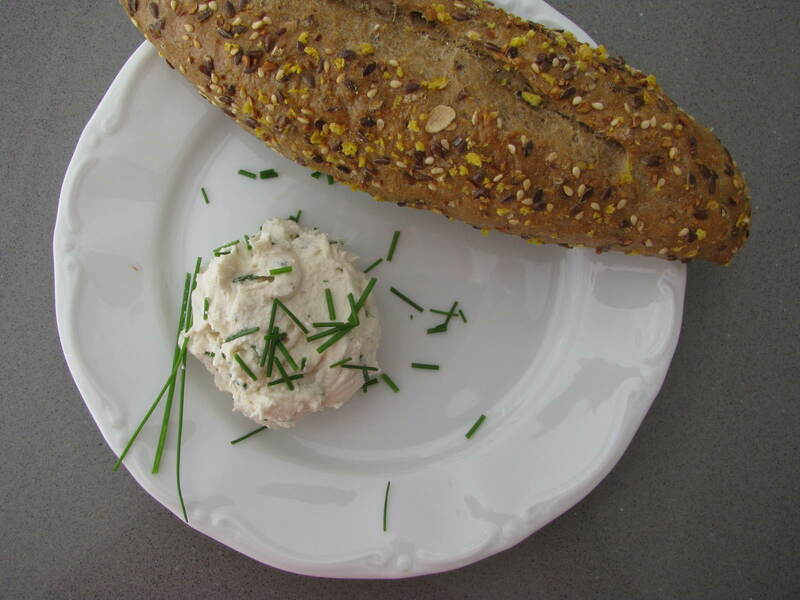 Even though I don´t miss cheese, sometimes you just want to have a little creamy, savoury something that you can spread on your freshly baked bread. Don´t worry, the raw foodies have got this one covered. Over at Punk Rawk Labs, their nut milk ¨cheeze¨ (I use cheeze with a ¨z¨ to differentiate it from the moo juice kind) business is taking off in leaps and bounds. Their products are so popular that they secured a kickstarter grant to build a cheeze-making facility to keep up with the demand. Luckily, there is a video on their website on how to make your own nut cheeze since their products are only available in the US. So I decided to try my hand at making my own nut cheeze using cashews and kefir (I use kefir to make my own soy yoghurt). First, I soaked 1 cup of raw cashews (i.e. unroasted and unsalted) in water overnight, then stuck the drained cashews in the freezer. I find that thawed cashews break up better in the blender compared to just soaked ones. The thawed cashews were then blended with about 1 cup of water so that it made a cream. Next, take a clean glass jar (I used 1.5L jar with a tight-fitting lid – you want it big enough so that there is not a massive build up of pressure from the fermentation gases) and tip in your cashew cream and your kefir grains. I also added a bit of agave nectar for the kefir to munch on. Close the lid, swirl the cream and kefir and keep the jar in a cool, dark place for 72 hours. Swirl the jar at least once a day. Line a sieve with cheesecloth or a clean tea towel and place over a bowl to catch the water drips. Pour the fermented cashew cream in the cheesecloth or tea towel. Rinse and scrub your glass jar with just water (NO detergent!). I keep a special brush just for my kefir jar that does not touch soap. Remove your kefir grains with a plastic or wood spoon (not metal) and place them back in your clean jar for another round of fermentation. Fold the cheesecloth or tea towel onto the cashew cream and place a heavy object on top to press out the water. Place in the fridge. The more water you can squeeze out, the firmer the cheeze. And here´s what it looked like! Mine turned out super creamy and slightly sour from the fermentation. 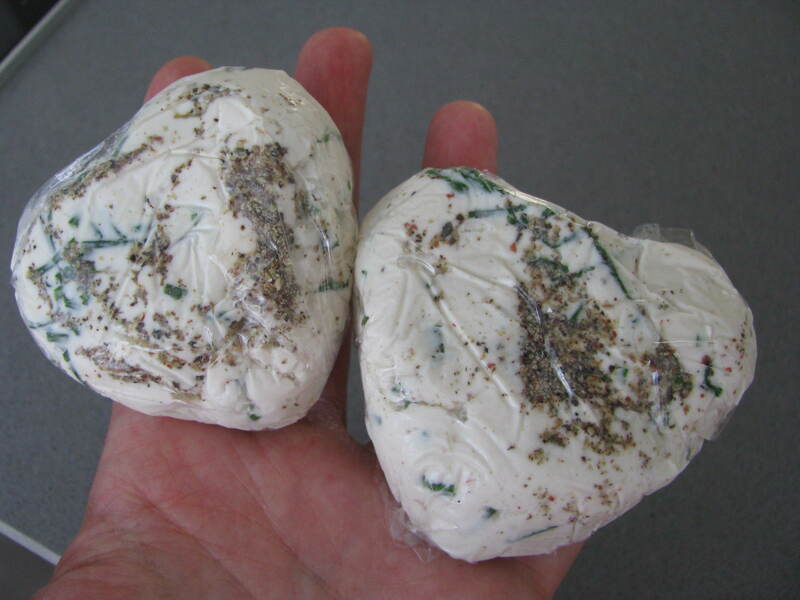 I decided to flavour the cheeze with fresh chives from my balcony garden and some freshly cracked pepper. Good decision – it was soooooo good! I also added salt and some agave nectar to reduce the sour taste. I guess to my palate, the resulting sourness was akin to a goat´s cheese but feel free to adjust the flavour as you see fit. I liked it well enough, but what about other palates? I decided to use my husband and my two dairy cheese-lovin´ girlfriends, Myriah and Gloriana, as guinea pigs. Here are the two samples I made for the ladies, in a heart shape (nawwwww!!). Had I not been rushing out the door to meet them, I would have made a nicer black pepper crust, but oh well. The cashew cheeze (or ¨cascheeze¨ as Myriah likes to call it) was a hit with everyone! So the moral of this story is that I will definitely make this again. It wasn´t difficult and time consuming at all. I am already dreaming up of other flavour combinations as I write. Have you tried a nut-based cheeze or another cheese alternative? What was your experience?